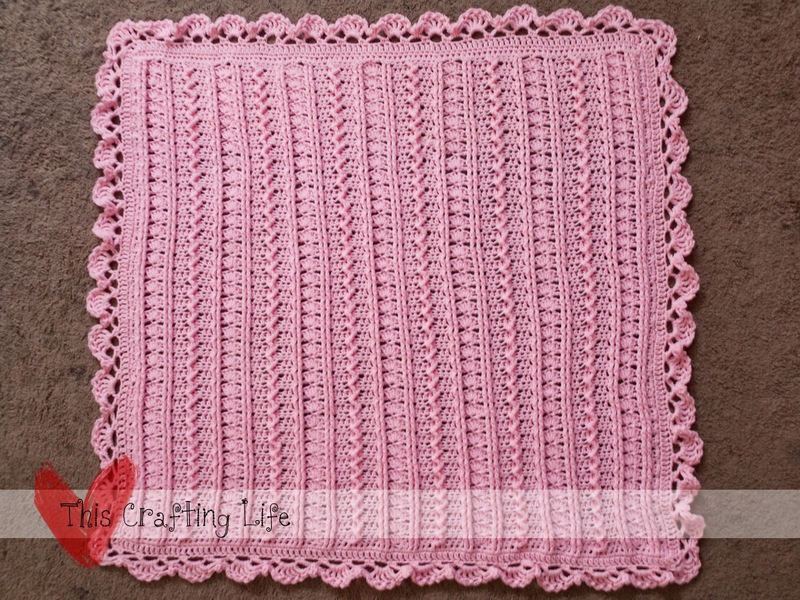 I was asked to make a baby blanket as a commission for a friend. 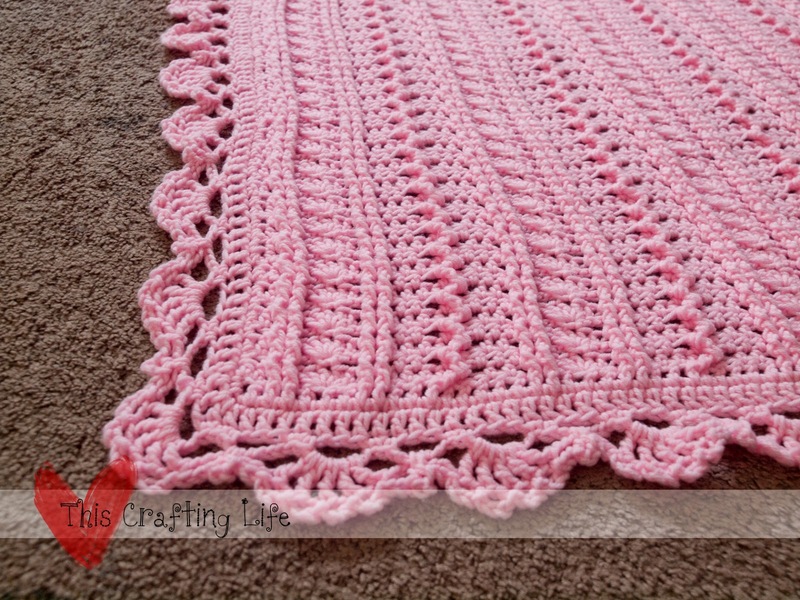 I didn't have much time to craft and I knew that it would have to be something fairly easy. 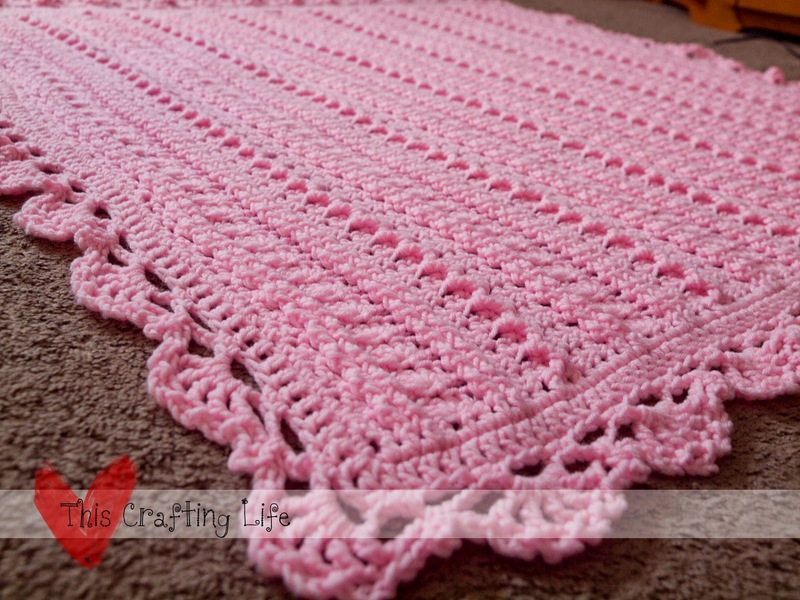 She requested it to be made in a pink yarn of my choosing and any pattern that I so desired. Since I knew I would only be using one color, I wanted it to have some sort of unique pattern rather than just be a granny square or something else simple. When I found this pattern, I was tickled pink. It was so easy and worked up to be beautiful- with the zig zag cable and shell bringing shadow and interest to the solid yarn and the pattern looks really impressive and difficult, but it's not! It's just a two row repeat- and the rows are technically the same, you just switch front post and back post depending if you are working the right side or the wrong. It worked up super fast- it took about 10 days of good solid work on it, though it did eat through a lot more yarn than I expected! I had bought a Caron Baby One Pound skein and ended up having to get another to make it through the last third of the blanket and the edging. I won't complain though, because it truly is a beautiful blanket. I also made a modification to the edging, because it was already larger than I had expected, so I wanted to cut down on the extra width. 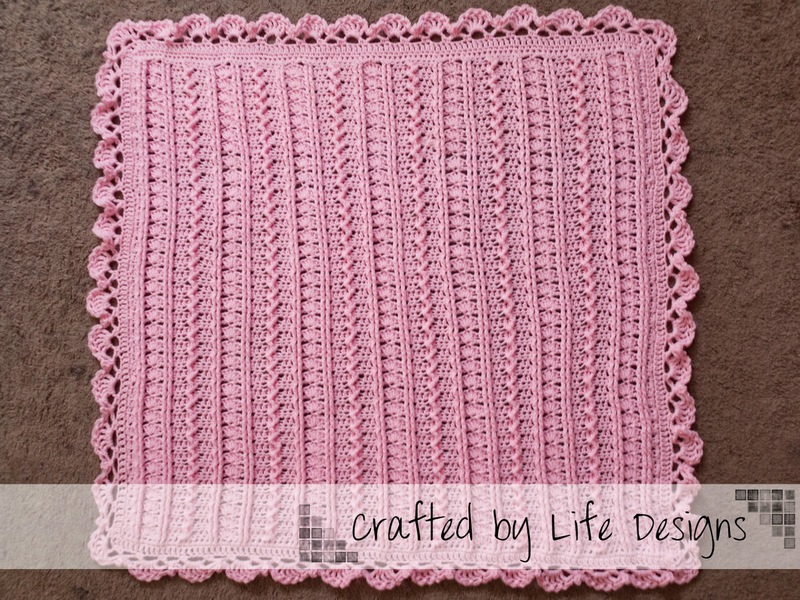 I love how this blanket came out and highly recommend that you try it!! !